Manifestodesign only uses solid wood, naturally oil treated. It comes from the equatorial African forests, it’s a dark wood, going from green to dark yellow, its color tends to become darker with time. It’s a hard wood which has a good stability in any temperature range. It is defined “fat wood”, in fact it is waterproof. It can be used outside to build boats and to furnish bathrooms. The brown oak that tends to yellow has a medium texture and straight fibers. 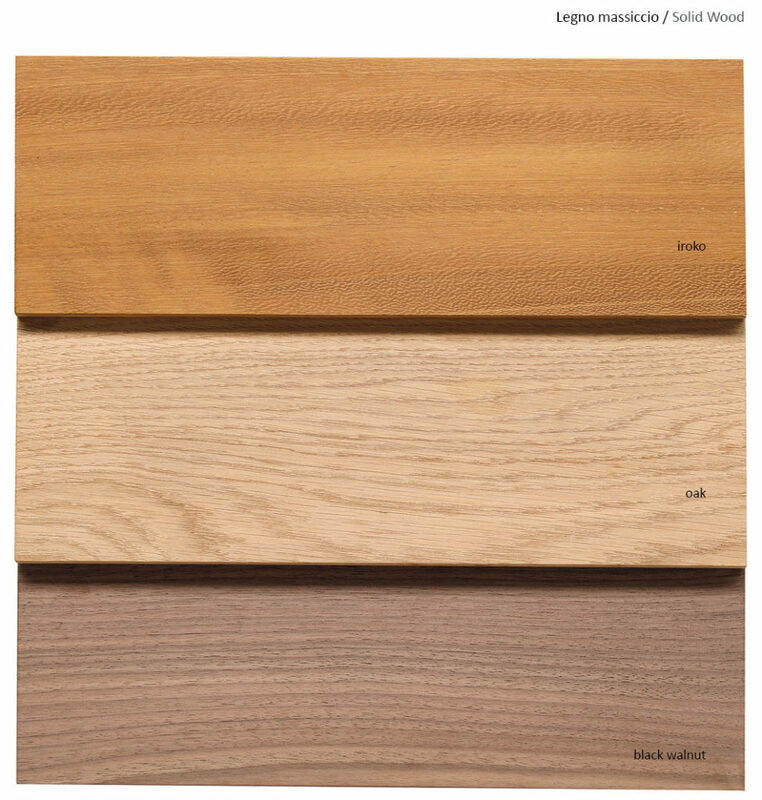 It is a wood with a good hardness, stability and durability. Black hickory or “black walnut ” is a hard wood with a dark brown color and brown streaks which can be more or less evident. Suitable for interiors. Nourish wood when it needs it , usually once per year, linseed oil.